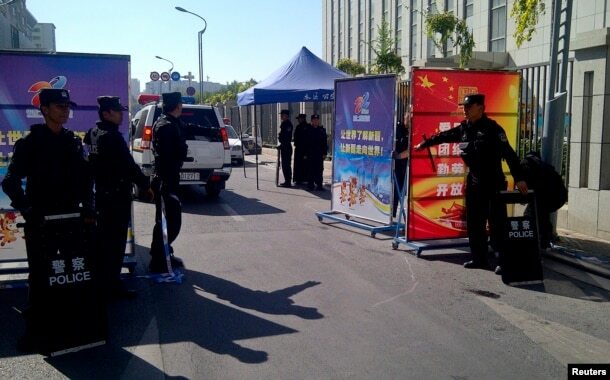 In its first detailed public response to the August 30 suicide car bombing that killed only the attacker and wounded several Kyrgyz security guards at the Chinese embassy in Bishkek, a World Uyghur Congressrepresentative told VOA that his group condemns the Bishkek blast and “all kinds of terrorism”, including what he referred to as “Chinese state terrorism” against its own people. WUC’s Washington-based vice president, Omer Kanat, was referring to the Chinese government’s crackdown on Uighur militants whom Beijing blames for several deadly attacks on civilians around the country and for sectarian violence between minority Uighurs and majority Han Chinese in Xinjiang in recent years. Kyrgyzstan named the embassy bomber as Zoir Khalimov, a 33-year-old Uighur with a Tajik passport and a member of the East Turkestan Islamic Movement, or ETIM – a separatist group seeking to split Xinjiang from China. Bishkek also said it believes the attack was masterminded by Uighur militants fighting alongside other Islamists in Syria. 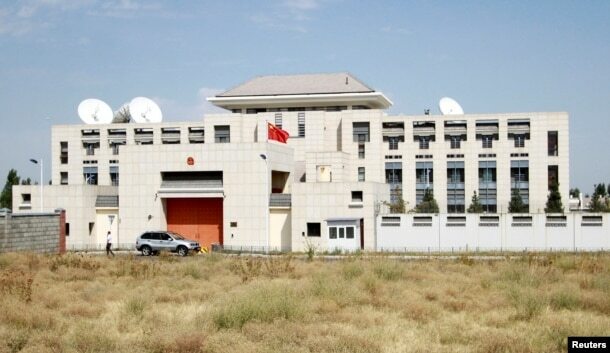 Chinese foreign ministry spokeswoman Hua Chunying said Wednesday Beijing will be “firm” in fighting what she called ETIM’s “bloody crimes” and in cooperating with Kyrgyzstan and other nations to combat terrorism.